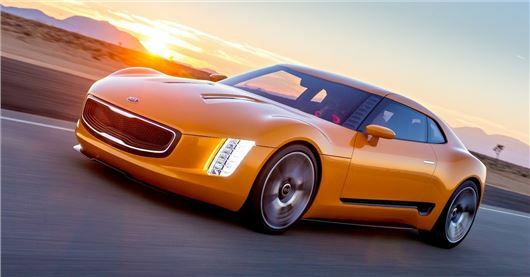 Kia has revealed its GT4 Stinger concept at the Detroit Motor Show. The rear-wheel drive sports car is powered by a turbocharged 2.0-litre engine and has 315PS. 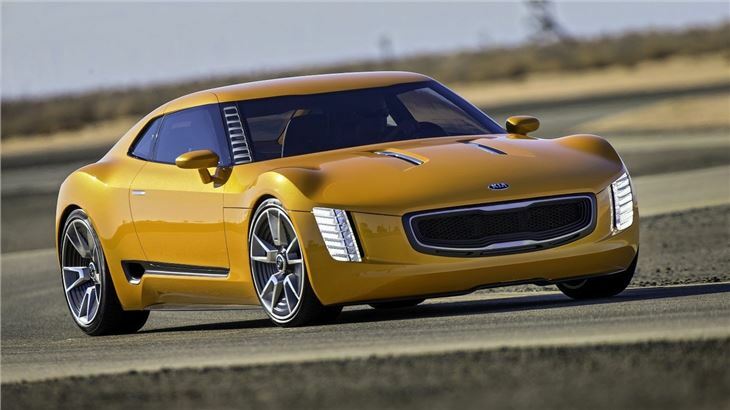 Sadly the Stinger will not make it to production, but it will likely form the foundation for Kia’s plans to launch a Toyota GT-86 rival for 2016. The GT4 Stinger 2+2 concept has been conceived and designed by Kia’s California-based team and gets a prominent ‘Tiger Nose’ grille flanked by vertical LED headlamps. Front-brake cooling vents funnel air around the GT4’s 20-inch wheels whilst a carbon fibre front splitter mounted below the bumper to boost downforce. Power is distributed through a close-ratio six-speed manual transmission, wrapped in 275/35R20 Pirelli P-Zero performance tyres. 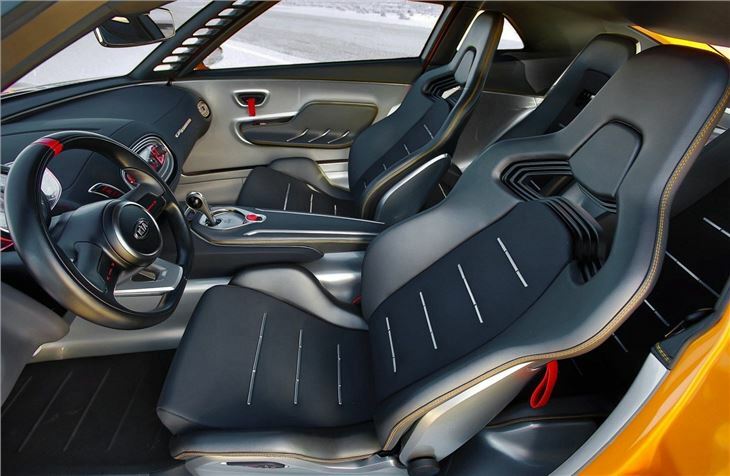 Inside the car gets moulded leather race-inspired bucket seats, billet-aluminium pedals, D-shaped steering wheel and red LED-illuminated instrument panel. The interior door handles have been replaced by red-stitched pull straps. 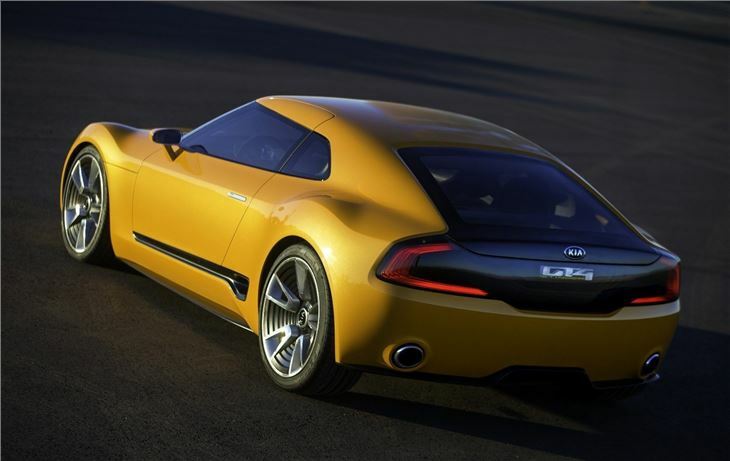 “Driving enjoyment was the number one priority in designing the GT4 Stinger,” said Tom Kearns, Chief Designer, Kia Design Centre America (KDCA). Kia’s high performance concept follows the news that its affiliate Hyundai will enter the World Rally Championship with the i20 and build hot cars under its new ‘N’ brand. However, shares in Hyundai and Kia Motors have dipped more than five per cent in January 2014 after management issued its weakest global growth forecast in 10 years.